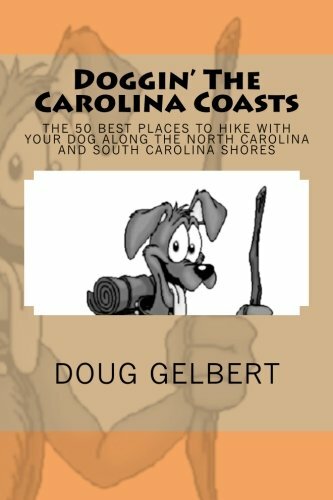 The former refuge of Blackbeard in Cape Hatteras National Seashore may be the best place in America for your dog to swim in the ocean. Climbing up the highest natural sand dune system on the Atlantic coast, your dog will only be going 80-100 feet up but it will feel like ten times that. These formal gardens that date back over 300 years are not only dog-friendly but if your best trail companion gets weary he can ride the tour tram back to your car. For a long solitary walk on the beach with your dog it is hard to beat the seven miles of tail-friendly white sand beaches south of Wilmington. There are wide, paw-friendly trails through eight small areas of exploration, any of which will delight your dog. A winning combination of park and historical trail, a surprise Patriot victory here helped tilt the balance of power in the South during the American Revolution. For a day of pure hiking with your dog in solitude come to the South Edisto River and the fields of the old Crowe Plantation. The marquee Lassiter Trail moves around the 760-acre millpond that harbors ancient bald cypress and tupelo gum trees. This is the best interpretive trail on the Carolina coasts where subtle elevation changes enable the giants of northern forests to mix with the live oaks and softwoods emblematic of the Low Country.